This post is probably already out of date, but I still feel I should say a few words about the movie that could become one of the biggest blockbusters of all time and surely a cult movie of the future. I personally loved it. Not just because of the story and the package, but because of the positive influence it will bring to this confused era. I think the director James Cameron is quite bold to openly address most of the biggest global issues of our time in it, a thing that actually wasn't mentioned as much as it probably should be. 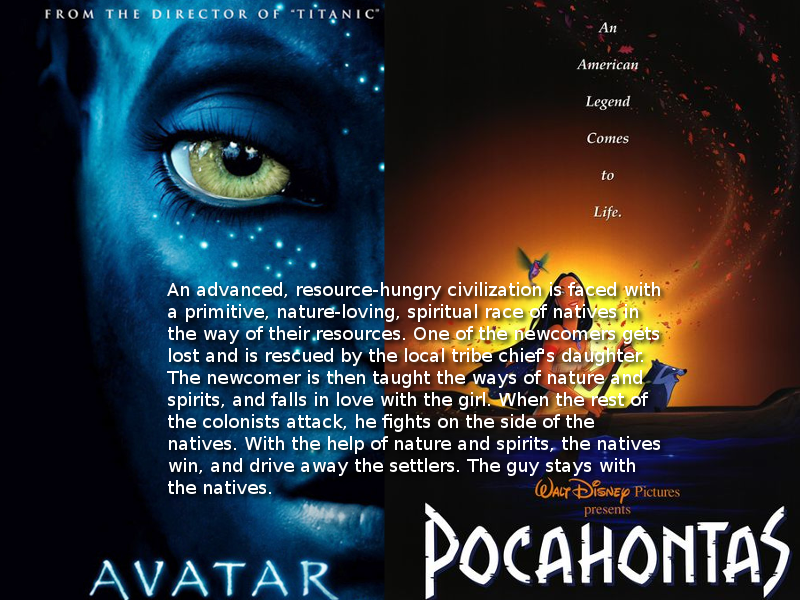 Comparing Avatar with Pocahontas is very popular these days, but I simply don't care about the similar plots. I see Avatar not only as a movie that changed cinema forever, I think it will also change the world for the better. We, the people of this planet needed a statement like this badly, now we can only hope that many of us got the obvious and the subtle messages it holds. The messages which doubt the actions of governments and corporations worldwide and support a more responsible attitude towards life, the universe and everything. The debate on global warming is more actual than ever, and the media are doing great to confuse people about the fact if it really exists and if it is really caused by humans. I personally don't care about what's true anymore, because one thing I did get out of this is that there is nothing I can really do about it. But that doesn't change the fact that I care about this planet and I feel we should be more responsible and respectful towards 'our mother'. Humans are the only species on the Earth that will take anything we are be able to get our hands on as long as it's available and possible, without thinking about the consequences. We were supposed to be the most intelligent species, but in this case insects or rodents act more intelligent and strategic than we do. If our planet dies, we will just go somewhere else. The age of imperialism is far from over and capitalism without any morale is a global trend. Child and slave labor, other types of exploitation, mining of scarce natural resources using all means necessary, destroying nature for business opportunities and even wars are things we got used to seeing as normal. Because of these actions, some people and other living beings are dying, suffering or barely able to survive while some other people are getting richer and more influential. Bad things used to happen because of religion. Today, in the advanced world of democracy and liberty, the worst things on the planet are happening because of political, economical and corporate interests. In contrast with your television, Avatar makes you sad because of this. Leaving aside the global problems, we can’t go past drooling over supposedly revolutionary technology of film making on which James Cameron waited for years before he filmed Avatar. The imaginary landscapes, together with amazing flora and fauna is really beautiful, even though we have to admit the whole concept resembles The Lord of the Rings a bit. But one thing is certain, the 3D screening is pretty awesome and almost makes you think the movie is a real theater stage. It’s really real 3D. You have to see it to believe it, which you probably already did. Electronics manufacturers are already making 3D television prototypes so it looks like we are ready for the next generation of broadcasting. Another thing to spend money on, but still pretty cool. I enjoyed Avatar because of the listed reasons and statements, which are portrayed in the film in different forms and to different extent. Hopefully you were able to notice them too. Besides, the movie is fun and surely a positive influence on the world and our perception of it. Hell, you can’t believe a movie like that has a chance to break the all time box office record, looks like it's not so hopeless after all and people actually do care about our lives and our future, even if they saw Avatar mostly to admire the technology. If they sympathized, they understood, and that's what's important for the already messed up future up ahead. Avatar, we thank you. Turns out a flying car has more to do with the actual experience than the flight itself. This is part of a special two part series transatlantic blog post about Occupy Wall Street.